Update: For the foreseeable future, the INAT has taken a hiatus with no update unlikely to for 6th Edition. 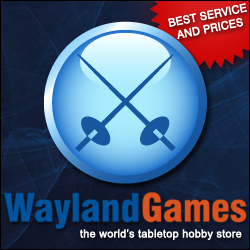 In 2007 a group of players from DakkaDakka joined forces to tackle the problem of poor FAQ/errata updating from Games Workshop, and came up with a totally unofficial FAQ that addresses various known unresolved rules issues currently prevalent. They resolved these issues by either following and clarifying RAW; or by making judgments where RAW is confusing, 'unfun' or just plain wrong; or by reversals of official GW FAQs or rules. All these methods are noted next to each rule issue within the pdf so you can see how each ruling decision has been reached. Note that this version was released prior to the 6th Edition Codex Dark Angels of 2013 so does not cover it. The FAQ is divided into sections covering the main rulebook, individual Codex queries, subdivided in the Space Marine's case into smaller Chapter sections, the Forge World Imperial Armour series, and the two 40,000 Expansions. There is quite a lot of ground covered and although some might argue the conclusions of one or two rulings given, no one can take away the fact that at last, an up to date FAQ has been methodically produced that tackles these things head on in their entirety. This FAQ is a completely 100% independent (unofficial) Q&A list for the game of Warhammer 40,000 5th edition. It isn't meant to replace the Games Workshop official FAQs (which can be downloaded from:www.gamesworkshop.com in any way, and in fact the issues addressed by the GW FAQs aren't included in this document. The purpose of this FAQ is to give players advance knowledge of how tournament judges will be ruling the myriad of tricky situations that arise in games of 40K at the event they are planning to attend. The FAQ was written and edited by Jon "yakface" Regul from the DakkaDakka forum, with the a ruling council comprised of Jon "yakface" Regul, Bill"Centurian 99" Kim, Hank "Muwhe" Edley, Greg "Inquisitor_Malice" Sparks, Matthias Weeks, Christopher Mehrstedt, Dave Creswell, Colin Vasconcelles and Jeff Chua. Produced originally for the US non-GW tournament circuit (used for instance at AdeptiCons from 2008) — this FAQ became accepted as being the most comprehensive produced and is being adopted by many gaming groups and competition organisers where no better rules authority exists.